This is the astro chart of Bank Nifty.Favourable planets are marked in Green and unfavourable in red. 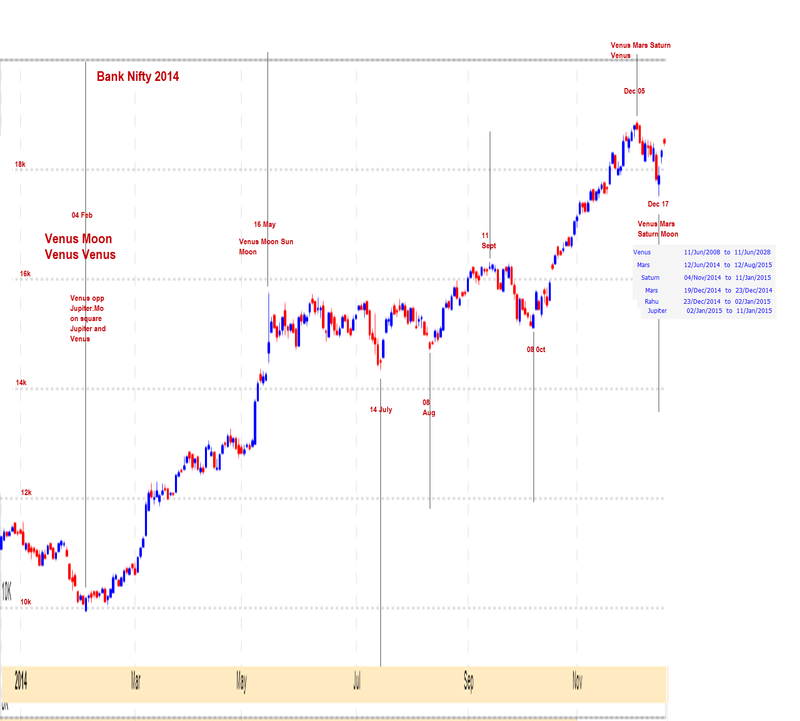 This chart below shows the dasa positions of Bank Nifty during the various highs and lows in 2014.Dasa lord Venus, is also the Lagna star lord. He is favourably placed in the sixth. So even if Bank Nifty reacts to unfavorable aspects ( which are Universal and which is also why various markets in different geographic and time zones still seem to react in tandem), Bank Nifty is exhibiting relative strength compared to Nifty.